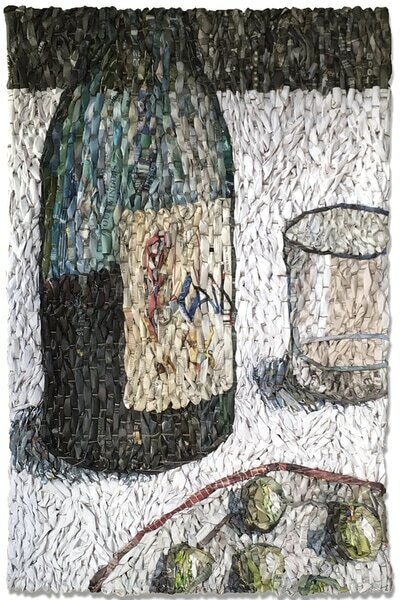 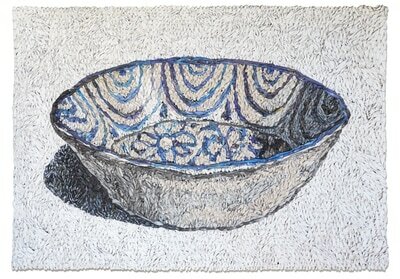 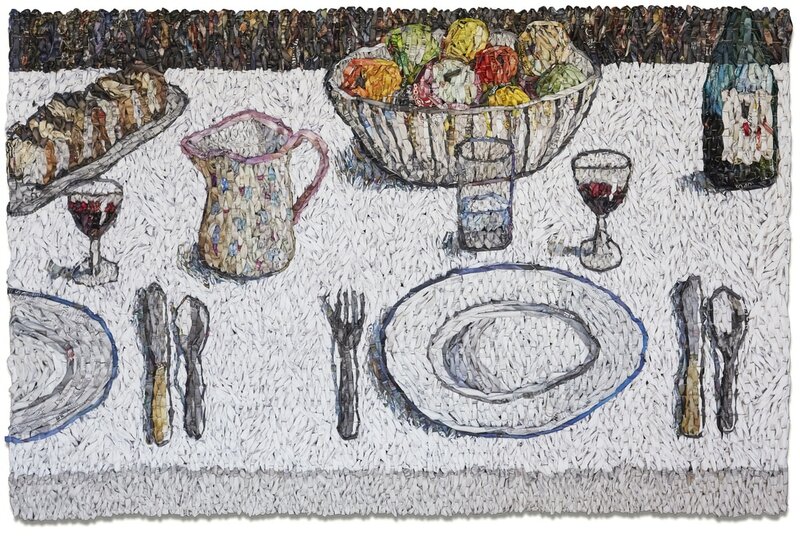 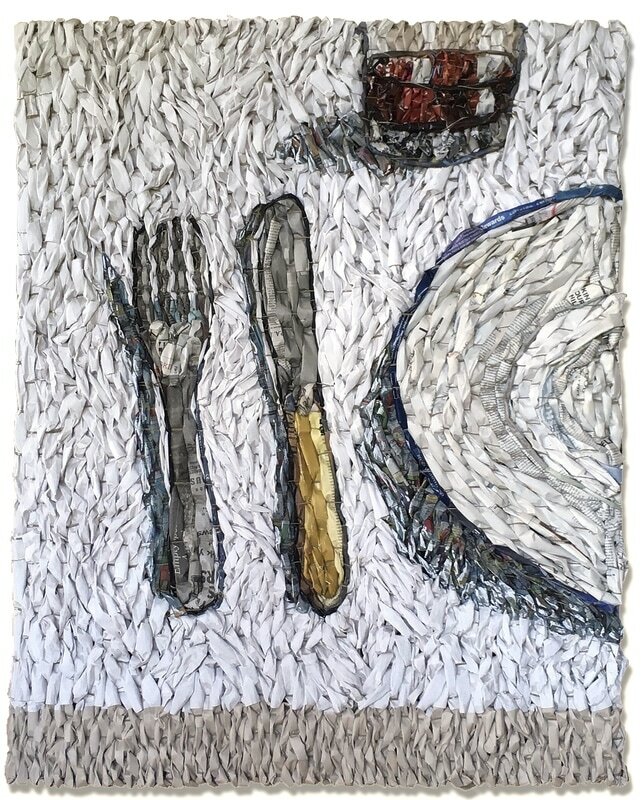 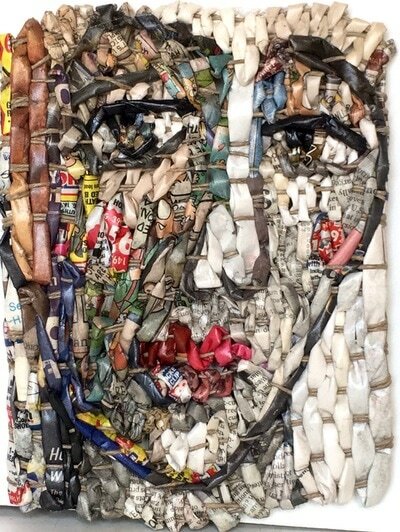 Andrea Schwartz Gallery is pleased to announce the fifth solo exhibition of Gugger Petter entitled Tabletops & Portraits. In Gugger Petter’s tabletop series, she depicts beloved items from her own table and daily life – items from everyone’s daily life. All objects are presented on a white table top in a crude and calculatedly unrefined manner not holding true to the exact form. Unlike traditional still-life’s that place a large importance on light and shadows, Petter predominantly focuses on the overall composition in relation to a balanced tension of positive and negative space. 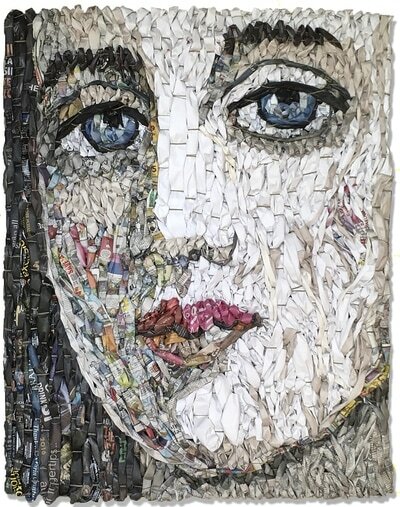 In both Petter’s tabletop series and in her ongoing portrait series she succeeds in presenting a direct and honest image, where much is still left up to the viewer. 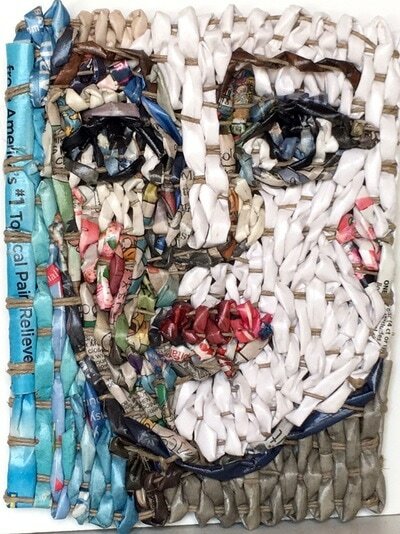 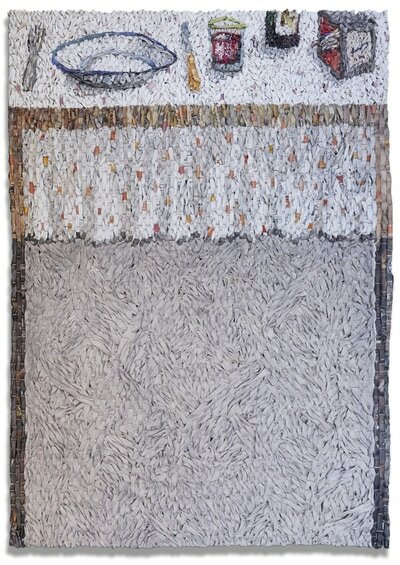 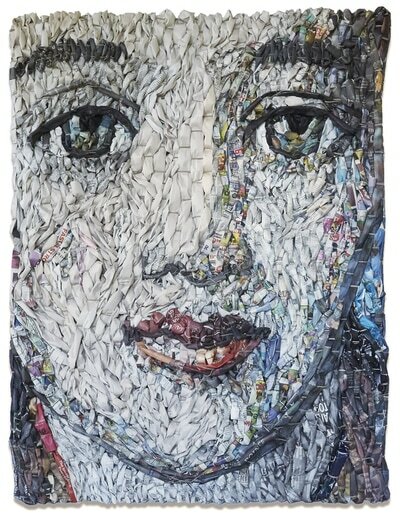 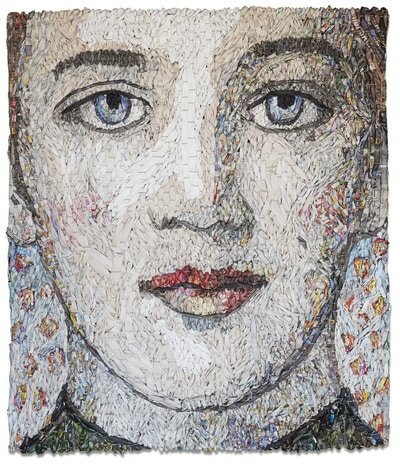 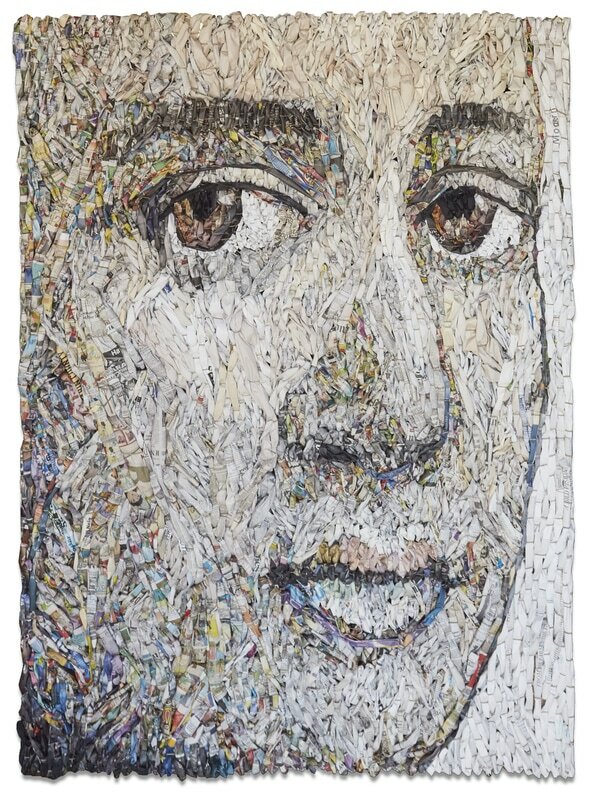 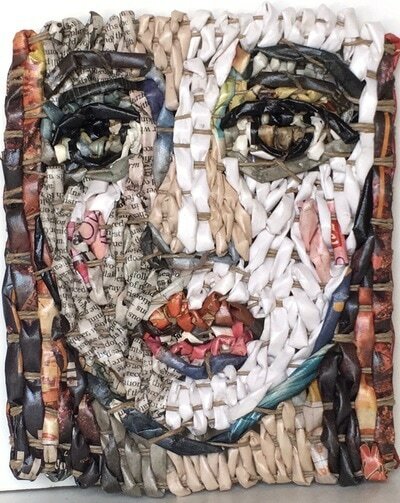 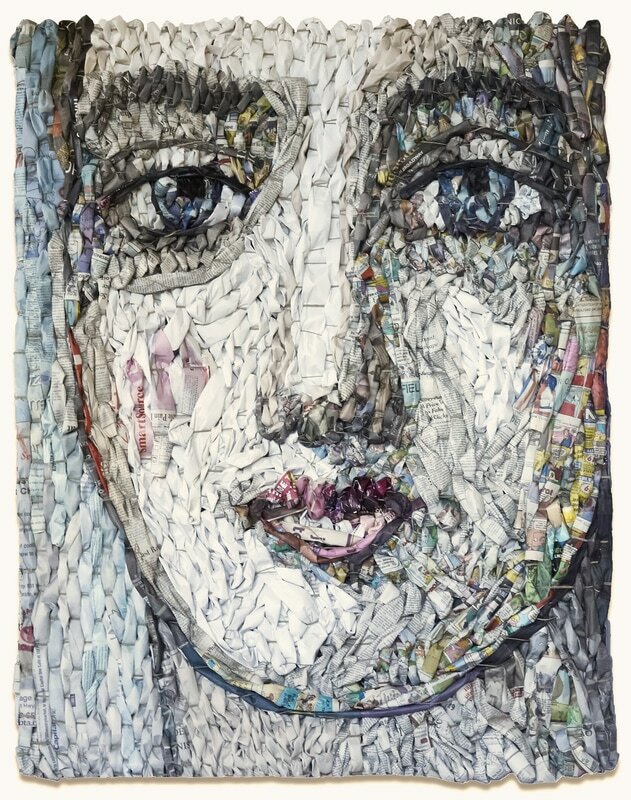 Her figurative weavings combine her passion for Renaissance portraiture techniques and her ability to build a relationship between the sitter and the viewer.